How many people take music lessons at a young age, only to drop the instrument and focus more on careers or family in adulthood? The answer is, quite a lot! If this is the case for you, and you’ve found yourself wanting to get back into the instrument, we have some things for you to consider! Let’s get you back in musical shape. Many music instructors are only accustomed to working with kids or young adults, so you may have to do your research in order to find a teacher who will be a good fit for you. Get in touch with any possible teachers and ask any questions that come to mind. For example, what is their lesson schedule like? What sort of practice schedule do they expect their students to keep? Talk about your goals, your aspirations, and your concerns. That will help your new instructor know how to make the most of their lesson time with you and help them choose lessons that make the most sense for you. Your teacher will likely want to know about your musical history and your experience level with that instrument. Did you stop playing in high school, or did you play in a symphony until your early twenties? These are things they will want to know! Just be open and honest with your expectations. While some people are just looking to restart an old hobby, others are hoping to get back into performance. Just be open and honest about your needs! Instruments can deteriorate over time, and for some, new technology is available to make playing much more enjoyable. This is especially true for organs; you can now find electric organs through us! That aside, any popular instrument can be easily inspected or tuned, if need be, by a local music store. String instruments will likely need to have some work done, and horns and woodwinds could need new pads and some oil. If your instrument needs to be transported, invest in a solid carrying case. You need to make sure it stays protected! Keep in mind what is going to keep your passion for your instrument going. Even though adults have a little more discipline in some areas, there still needs to be some degree of fun in order to stick to something. We need material that doesn’t constantly feel like work. Think about bands and performers you admire, and let your teacher know about them. They may even be able to find similar pieces for you to work on. Even if the music is a little more complex than what you are ready for, your teacher will still be able to help you master the details that make that sound possible. You can break down little basics to master the elements you’re aiming towards. Whatever your goal may be, you need to enter this process with patience and determination. Mastering an instrument is never easy, even if you have played it before. 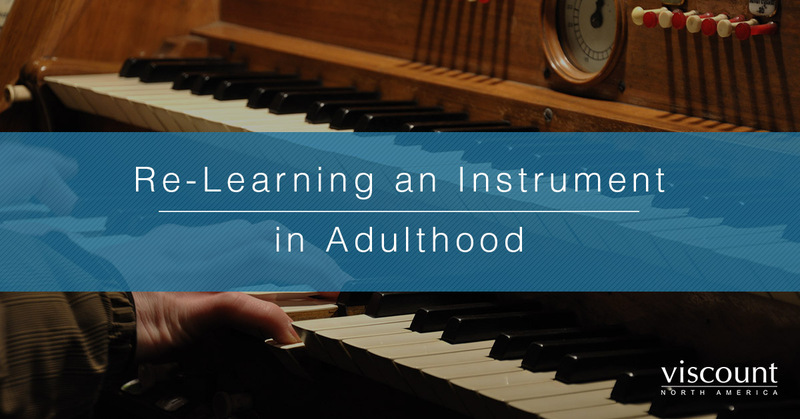 As an adult, you are much more likely to handle an instrument and its demands better than you were as a kid. However, planning ahead matters. Locate what time blocks you have each week so that you can dedicate to both practicing the instrument and playing actual pieces. There is a difference here between the two. Practicing time is specifically for new material, things you haven’t mastered yet, or techniques you are trying to perfect. Playing time, however, should be much more fun. Choose songs you already know how to play, or songs that you just enjoy in general. When you create time for both each week, your practice time will be more productive and your playing time more fun. Plan ahead, and you will be much more likely to stick to the instrument over the long term. You are a busy adult. There is not a lot of time to spend practicing or even just having your instrument with you. However, if you know that you are pretty mentally familiar with your instrument, you could possibly do some mental practice wherever you are. You simply imagine the feel and sound of your instrument, and take your time to feel like you are actually performing. For example, imagining scales is a great practice! While there is no substitute for the real thing, this can be a good use of your free time. When you find a teacher, you might find that you need a better way to practice at home. Contact our team today to choose the perfect organ for you. We offer electric organs for the home or church organs for your place or worship! Our team wishes you the best of luck as you embark on this adventure. Remember, you’ll get where you want to go eventually! Be patient with yourself and do your best.